Johnny Depp want to remake James Cameron's Titanic, but there's a catch: He wants to film it entirely in his bathtub. To be fair, he currently rents a 10,500-square-foot mansion in London, so his bathtub might be a lot larger than some people are used to bathing in. However, the actor's bank account woes are currently the big news and would probably be the only deterrent from getting the Titanic bathtub movie on to the big screen. He's currently suing his former business manager, Joel Mandel, and his brother Robert for negligence, breach of fiduciary duty and fraud. When Johnny Depp talks about wanting to make a Titanic remake in his bathtub, he's more than likely being serious. But, the Rolling Stone interview took place over the course of three days, all of which were filled with copious amounts of wine and hash spliffs. So, this could be some riffing or a symptom from something else, but he makes it seem like something that he could get done if Hollywood were interested. He explains. "That would be great, but Hollywood never takes risks anymore." 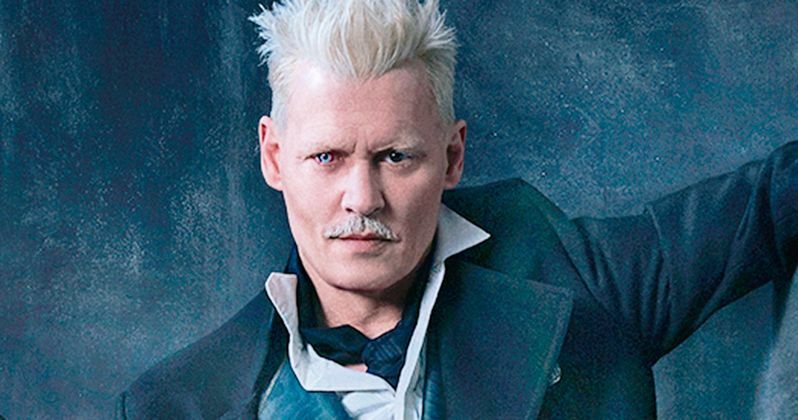 Elsewhere in the interview, Johnny Depp, who is now 54-years old, talks about a number of subjects, but the interview mostly focuses on his finances. His former business partners claim that he would spend $3,000 a month on wine, but Depp insists that it's actually more like $5,000 a month. When it's brought up that he spent $3 million to launch iconic writer Hunter S. Thompson's ashes from a canon in Aspen Colorado, Depp says that it actually cost $5 million to get his old friend launched at a height that is said to be higher than the Statue of Liberty. Tim Burton was interviewed as well for the Rolling Stone interview and says that Johnny Depp was looking to channel Anna Wintour and Michael Jackson while they were filming 2005's Willy Wonka. Old friend Penelope Cruz says that Depp can play Jack Sparrow up until his 80s and still have the swagger and charm that the actor exudes today. She then tells a story about Depp trying to pull out one of his teeth at a London restaurant, so it seems that he's a bit all over the place. When all is said and done, Johnny Depp does exactly what he wants to do and whenever he wants. He'll go star in a Marilyn Manson music video and then go star in a new Pirates of the Caribbean movie for Disney. He plays in a rock band called the Hollywood Vampires with Alice Cooper and Joe Perry from Aerosmith and buys millions of dollars-worth of guitars. That being said, it doesn't look like his dream to film a remake of James Cameron's Titanic in his bathtub is going to become a reality any time soon. You can read about that remake, along with a bunch of other topics in the very lengthy interview at Rolling Stone.